These pictures were taken last week when the temps had risen above 55 and the birds were chirping... before the insane frigid temps and snowy, icey madness torture began. Now I'm sitting here day dreaming about all things Spring. Sunshine, warmth, pastels, tank tops, lake days! Gah anyone with me? This attire has become an almost regular occurrence for me now because the belly band in my maternity jeans almost doesn't fit anymore. It slides down my belly causing a seam in my shirt. Leggings and a loose cotton tee are all I really feel comfortable in at this point. So now I'm trying to get creative with how many looks I can pull off with leggings. #firstworldproblems right? 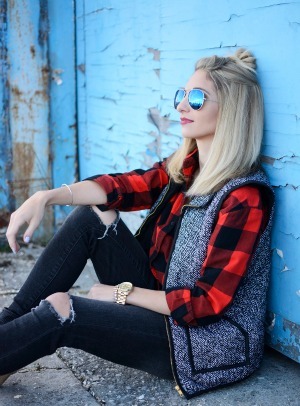 16 comments on "Weekend Style"
Umm I love everything about your weekend style! SO gorgeous and chic! I need those Converse... they are so pretty! And loving the hat! I always wear a hat on the weekends :) Happy Friday girl! I just absolutely adore every single thing about this outfit. I want those shoes and I'll probably steal some from my sister this weekend. The stripes, the denim jacket, the shoes, the bag... oh my gosh!! I can't believe he's almost here! I seriously hope I can look as good as you when I'm 37 weeks pregnant, you dress your bump like a star! Those mint converse are so beautiful!! You are so stinkin' cute! 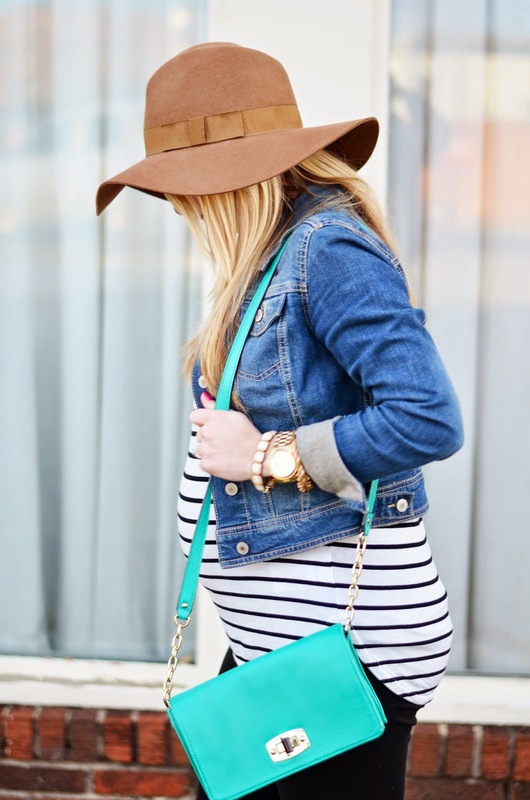 I love the pops of turquoise in your shoes and purse. Fingers crossed that some more progress has been made for next week's doctor appointment - the little man has to come out at some point! :) Have a great weekend! Those mint converse?! :O SO cute! Love, love, love the mint converse! It's almost baby time!! :) You look gorgeous in your weekend style! Love that shirt! 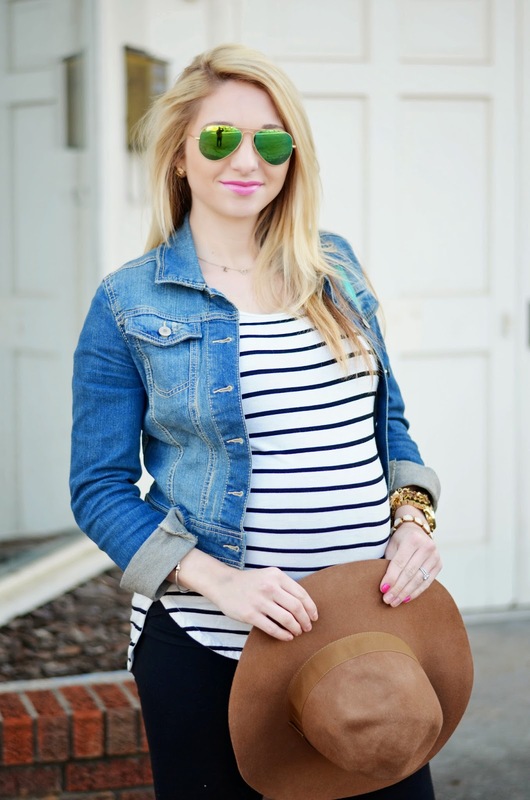 the perfect mama to be weekend outfit! and I am dying for that hat!! The pops of mint make this effortlessly chic - love the shoes! Love the mint Converse! So much fun. I haven't bitten the bullet on buying a pair on Converse yet, but I'm starting to think I need some for Spring! Looking good! I really need to just get a hat, they are so confident-looking, love it! Best of luck in the last few days of pregnancy, I know you're both ready to have him in your arms.